Sofitel LA is the hottest Los Angeles hotel, with stunning interiors featuring French style and Hollywood glamour. 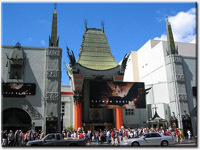 4-star Los Angeles Hotel sits on the corner of La Cienega and Beverly Boulevard, opposite the Beverly Center. Enjoy sleek Beverly Hillshotel rooms near world-famous Rodeo Drive, Melrose Avenue, and Sunset Boulevard. New additions to this hotel include SIMON LA by Kerry Simon, STONE ROSE LOUNGE by Rande Gerber, and Le Spa at Sofitel.